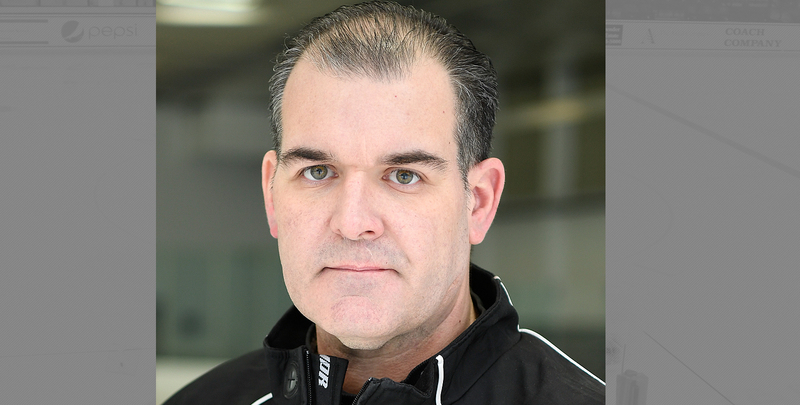 Lance Brady, who began his first season this fall as the Director of Hockey Operations for the Merrimack College men's program, has lost his battle with cancer. "Today we lost a great teammate in Lance Brady," said Merrimack head men's coach Scott Borek. "Lance was an incredible 'hockey guy.' He truly loved the game and cherished the people that he met through the game. He always saw what we had and never focused on what we did not. He was a gentleman and a friend who will be missed on our campus and well beyond. His impact on our staff and locker room will be felt for years moving forward." Brady joined the Merrimack staff after serving as head coach at Assumption College for 10 seasons. Brady won 99 games at Assumption, highlighted by the program's first-ever Northeast-10 Conference Championship to conclude the 2017-18 season. The team won at least 11 games in five of his 10 seasons, including each of the final two. Last year, he led Assumption to a 15-10-2 mark for the team's highest winning percentage in a season in 25 years. Brady was honored as the NE10 Coach of the Year on three occasions and had coached two of the past three NE10 Players of the Year. He also helped the team to an NE10 Championship game appearance in 2010. He coached three players who went on to play professionally, as well. Off the ice, Brady's student-athletes excelled in the classroom and posted a GPA over 3.0 three of the past four years. Assumption's men's ice hockey program also held special games to raise money for important causes and over the last three years alone raised over $10,000. Brady is a 1993 graduate of Holy Cross with a bachelor's degree in economics. He was a three-year standout for the Crusaders, was named as an ECAC East Second Team All-Star and a New England Hockey Writers All-Star and was the team captain as a senior. Brady came to Assumption from nearby Becker College, where he served as the associate head coach as the team improved from 2-18 to 12-11. Prior to Becker, he served as an assistant coach at Marlboro High School as the team captured the Roy Conference title in 2007. Brady was also a player/assistant coach for the Birmingham Bulls of the ECHL in 1997-98, an executive member of the Professional Hockey Players Association from 1995-98 and a coach/counselor at Dynamic Skating from 1990-96. Lance is survived by Jim his Dad, Liz his mom, brother Devin, and wife Beth Brady.